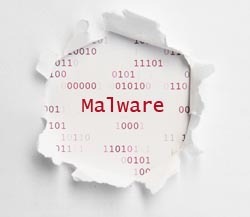 What is Malware and How do I Avoid Becoming Infected? Your computer: It's something you simply can’t live without. If you're like most people, you store years of memories in its picture files. It gives you instant access to a wide range of knowledge, both from your saved files and online. You've got those research papers and work projects on there too. Bottom Line: You rely on in day in and day out like a good friend. So what if something were to happen to it? The cold truth is that it’s a real possibility, and when it happens, it's never a pleasant experience. Malware is a vicious software intended to damage or destroy computers. Malware is used by hackers and other online criminals to conduct scams and obtain confidential information. Some criminals watch your every move to get into your bank account, while others are looking to hack into your computer and send out spam or illegal materials from it. Others still are hoping to imitate an anti-virus program and trick you into making a payment. Scary, right? The good news is that there are some things you can do to protect yourself from becoming their next victim. Here are a few ways to protect yourself from malware. Pop-Up windows are those annoying little advertisements that come onto your screen without your permission. In other words, you didn't click on anything to make them appear. Be extremely careful with these, particularly if they prompt you to download something. The window may lead you to believe your computer has been infected and that it carries anti-virus protection. This is not true. This pop-up window may very well carry a virus itself. It's a good idea not to click on it. Simply exit out immediately. Same thing goes for emails and links. If you don't know the source of an email or you aren't sure where a link may send you, the best bet is to avoid it. Hackers often send out emails with links that are sure to send malware your way and hack into your important information. Better to delete the email than to suffer the consequences of opening it. Because computer protection software is imperfect, it's important for you to update it regularly. Companies who produce these protective programs are constantly working to make them more secure and safe for computer users. But they are not yet perfect. Therefore, it's wise to continually update your anti-virus protection. You should also always run Internet security checks. It's very easy to share files and information with others online these days. Programs and websites are set up just for this purpose. But often, these sites are not protected like you may assume, and as a result, they leave you wide open for problems with online criminals. So if you choose to use sites like this, just be careful. Watch for potential advanced malware threats, which can disguise themselves as popular movies, albums, or programs. If something seems wrong to you, exit the site. While you can't control every move of a hacker, you can definitely use these tips to protect yourself from merciless online crimes. They are simple ways to keep you, and your personal information, out of harm's way. About the Author: Rick Delgado is a freelance writer who specializes in technology advancement and cyber protection. He enjoys keeping up with the latest gadgets helping people protect themselves from cyber threats.